New Page — Slingshot Coffee Co.
SUMMER CAME EARLY: JENI’S ICE CREAM X SLINGSHOT COFFEE CO.
WE PACK A LOT OF GOOD INTO THESE BOTTLES. When we launched the first bottled Cascara Tea in the world in 2013, we knew we were creating something special. From our 100% female-led supply chain, to the secondary revenue source we provide to our farmer partner, to the food waste we’re reducing at origin, to the superfruit qualities of the coffee cherries themselves, our Cascara Teas are packed with unbeatable flavor and goodness for you and the world. 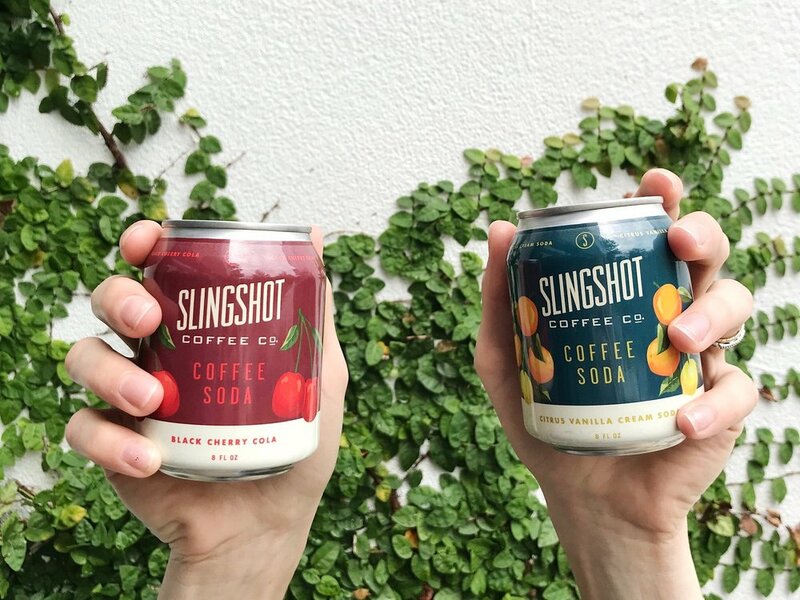 Slingshot’s new Coffee Sodas might sound different, but when have we ever done anything like everyone else? You trust us to make a cold brew that sets the bar for all things cold coffee, so trust us… our blend of our award-winning cold brew, real fruit juice, a hint of natural cane sugar and bubbles will be your new favorite bevvie in no time.